The purpose of our Bible Institute isn’t just to have people who know more about their Bible, it is to have people trained to teach the Bible to others. The 3 families that have graduated so far, are in full time ministry. 2 are pastoring new missions, and one is our dean of students. Their experiences so far are helping us learn how to better aid our students as they graduate and then transition into ministry. There are 4 couples and a single guy scheduled to graduate this year. 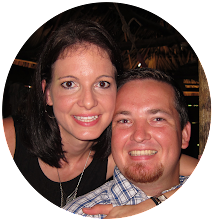 One couple is staying and in charge of translation work and teacher training in existing churches. It’s a tricky situation because legally you have to join a pastors association to form a church, but these pastor associations have become political machines that tax churches rather than helping them. They are also full of syncretism and idolatry where half the pastors are also the village witch doctor. There is a significant lack of biblical training. Not all of the churches involved are corrupt though. Many are sincerely searching for truth and know the current system is failing them. Many call into the Institute desiring a pastor who can lead them to the Truth. In one such church, La Balza, Jimmy and Elias were able to lead them to Independence. They legally formed an independent association just for their church. This allows them to pick their own pastor and also frees up their money to be used to reach the unreached villages around them. La Balza has relationships in 7 of these unreached villages, and have 1-3 people in each village who have accepted Christ because of their witness and radio station. This became an obvious partnership, to have our 3rd year students begin formal works in these villages. As each church is formed, each will create their own independent association. The 3rd year students are visiting their assigned village once a month during their final year at the institute. They spend Saturday traveling, Sunday preaching in the village, and Monday traveling back to the Institute. 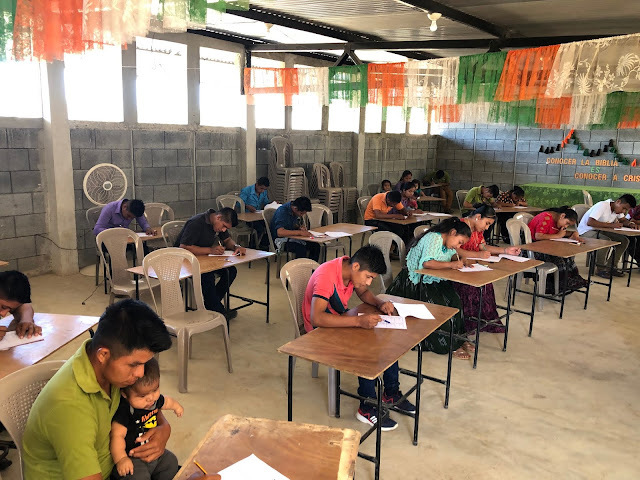 Our prayer is that their hearts will be tied to these people and their need and that they will leave straight from graduation to pastor in these villages. The village of Purulá has 30 families and only one Christian. It is hard to get to (hour and a half walk from the road) and even harder to live there. During the dry season, the people get all of their water from a cave. They have to walk down 36 meters of steps to get to the water. The people take turns, 4 families at a time, carrying down their laundry, washing their clothes and then coming back up to switch with four other families who take their turn. The village of Ak’ Tela’ has 400 families. It’s more of a town than a village, even though it’s 3 hours from the highway. There are 3 Christians in the village, so we sent Giovani, his wife Angelina with their 9 month old Joel, and our only single 3rd year student, Gerson, to this village. Gerson is one of the vocalists in our church, so the Christians asked him to sing a Christian song. They didn’t know any. He sang two and they asked for more until he ended up singing our entire songbook to them. Then he taught the kids while Giovani taught about the Bible. The Christians there were very happy about what they learned that day. They said that no one had ever opened up the Bible to them like that. Rodrigo and Mari went with their 2 year old Jackson to La Balza, the mother church of all of these missions. The pastor of La Balza took Rodrigo to the village of Joventé on his motorcycle. It has 50 families and 2 Christians. There is some dispute about the land that was bought for a church building, so we are not sure if they will continue there or not, mainly because La Balza is putting a lot of pressure on Rodrigo to visit them every month rather than Joventé because they want more Bible training. Unless he becomes their pastor, we don’t want to continue down that road, because without the authority that comes with being the pastor, you can’t change much in an existing church. Please pray that God gives wisdom in the situation. This is a fluid situation, depending how a village responds and how God leads each student. I listed all of their names so that you could pray for them specifically. Satanic attacks are common, he wants to keep these villages as captives in the kingdom of darkness, so please lift them and this work up in prayer! Thanks!